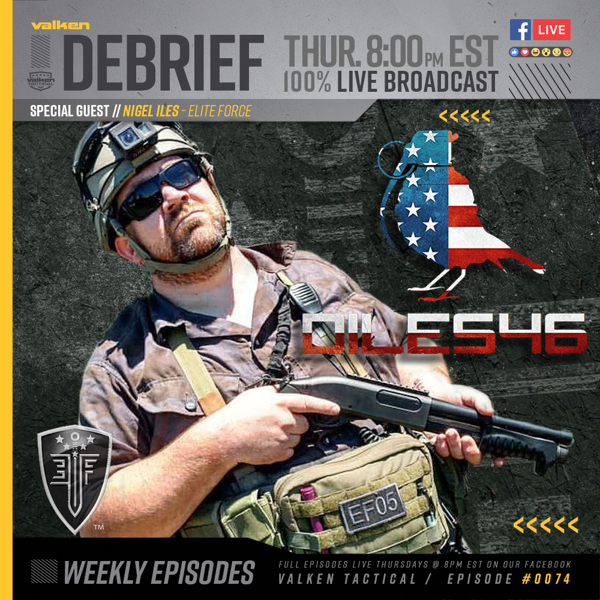 Join us live this Thursday at 8pm Eastern/ 7pm Central as we talk airsoft shenanigans with Nigel Iles (aka Diles46) from Elite Force on this week's broadcast of the Valken Debrief Airsoft Live Show #74. Watch, share, interact, and you could win some free stuff! 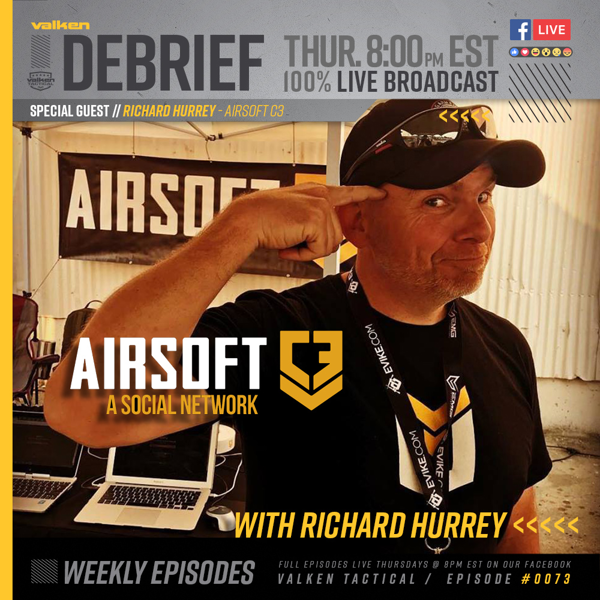 Follow link to sub so you don't miss the LIVE stream: https://www.facebook.com/events/2258751190835702 ... Read More Join us live this Thursday at 8pm Eastern/ 7pm Central as we talk airsoft shenanigans with Nigel Iles (aka Diles46) from Elite Force on this week's broadcast of the Valken Debrief Airsoft Live Show #74. Watch, share, interact, and you could win some free stuff! Just in case you missed Papa Rich from AirsoftC3 on our live show last night, you can catch the rewind! So stoked to have the man, the myth, the legend of Airsoft C3 on the Valken Debrief Airsoft Live Show on Thursday night at 8pm Eastern / 7pm Central on the Valken Airsoft facebook page! Come out and support Papa Rich! Watch us on this week's episode of the Valken Debrief Airsoft Live Show #72 as we sit down with special guest Jonathan from Airsoft Innovations. Hotline was open for live viewers to call in, and we had some great questions. Also, a special "Mystery Guest" joined us, but you have to watch to find out who. V Tactical Double Rifle Soft-36"
V Tactical Double Rifle Soft-42"
V Tactical Single Rifle Soft-36"
V Tactical Single Rifle Soft-42"